On arrival at Entebbe international Airport, the Classic Uganda safari guide will pick you up and transfer to your Hotel for an overnight stay. An early morning start Classic Uganda safari after breakfast, depart to Murchison falls national park with en route visit to Ziwa Rhino Sanctuary for Rhinoceros tracking , take pictures of the Rhinos which is one of the member of big five animals, thereafter continue to Murchison falls national park have lunch along the way before proceeding. Murchison falls national park is Uganda’ largest savannah park with largest concentration of animals, so expect to see a lot of Giraffes, Elephants, Jacksons hartebeests, Oribi Uganda kob, buffalos, birds, crocodiles in water or basking on sand hippos warthogs if lucky lions and leopards, Jackals and hyenas. On this Classic Uganda safari day, you will have you breakfast then go for morning game drive where you stand chances to see and take pictures of savannah game such as Elephants, giraffes, buffalos, hartebeests, Uganda kobs, warthogs, oribi as well as birds of different species then later you will return back to your lodge for lunch break. After lunch the guide will take you to the jetty where you will board the boat to the bottom of the falls that will reward you with hippos, crocodiles, possibly Elephants and water bucks coming to drink water at a closer view. On the falls, you will be allowed enough time take pictures and thereafter return back to the lodge for your dinner and overnight stay at DAY 2. After your relaxed breakfast, you will start your journey heading to Kibale forest national park for around 6 hours, the home to our closest relative chimpanzee. Here over 13 primate species are recorded including the red colobus and the chimpanzee, besides these, there are around 350 bird species recorded making it the best place for primates and bird watching in Uganda. 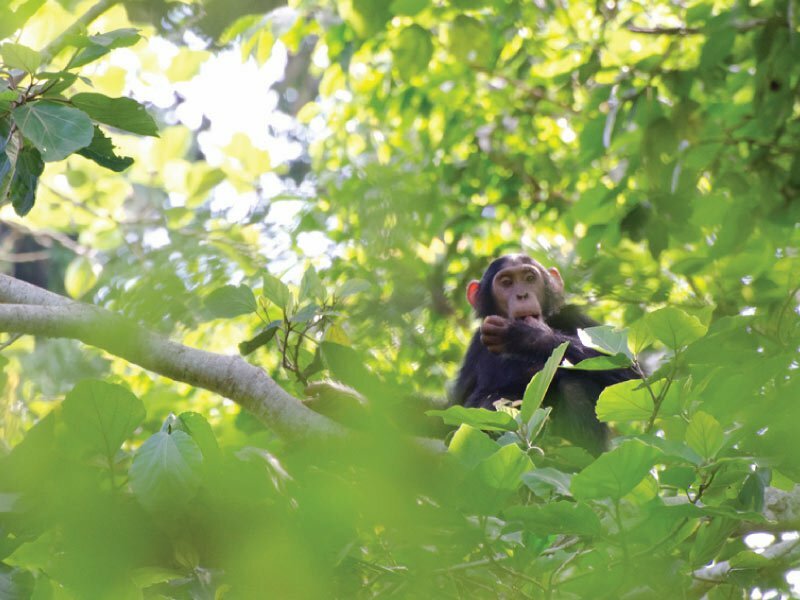 You will then proceed and check in to your lodge in preparation for your chimpanzee trek the next day. Stay at KYANINGA LODGE / PRIMATE LODGE KIBALE / CHIMPANZEE GUEST HOUSE. After your breakfast, you will be driven to a scenic route to Semuliki national park where you will do morning nature walk to see variety of monkey, Sempaya hot springs and forest birds. Day 8: Transfer to Queen Elizabeth national park & visit salt Lake Katwe. After morning breakfast, you will be transferred to Queen Elizabeth national park the second largest protected area, with huge number of animal species and bird species than any other park in Uganda, its location within the floor of the rift valley gives it great scenery for photography, and has two rift valley fresh water lakes connected together by kazinga channel that hosts huge number of hippopotamus. Expect to see them on close views. On this Classic Uganda safari day after early morning breakfast or cup of tea or coffee, you will set off to kasenyi plains for your early morning game drive. Here you stand chances to see animals of the Savannah like Elephants, Buffaloes, waterbucks, warthogs, Uganda Kobs, lions, leopard on lucky occasions, hyenas and a lot of birds associated with grassland, on return you will have full breakfast lunch break and later in the afternoon take a boat cruise on Kazinga channel . 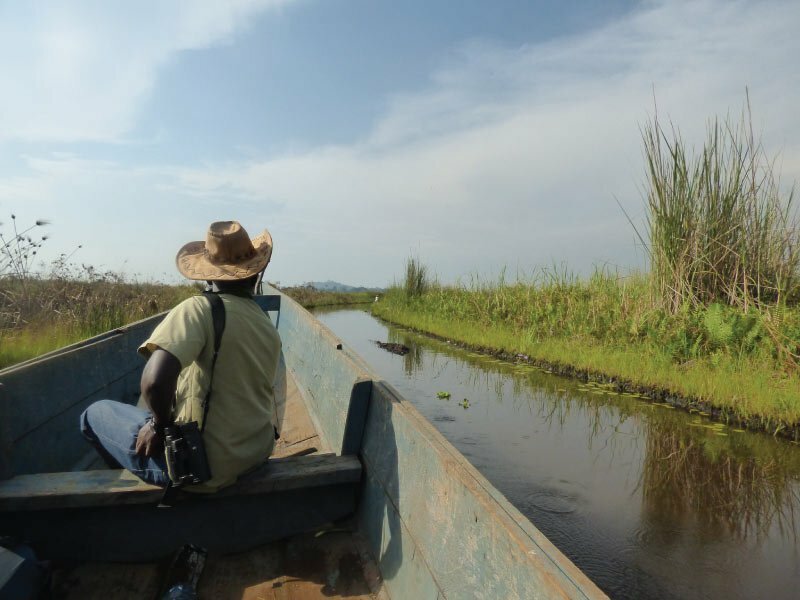 The boat acts as a platform where you can easily view hippos, birds, Nile crocodiles and sometimes Buffaloes and elephants coming to drink this will take you two hours and later game viewing on the way back to the lodge for your dinner and overnight stay DAY 8. On this day after your breakfast, you will go on for a game drive to try more chances for tree climbing lions and other game animal, take a visit to Ishasha River to see more hippopotamus later you will be driven to Bwindi impenetrable national park, the home to the worlds few remaining mountain gorillas, this will take 2 to 5 hours depending on the where your gorilla permits reads as Bwindi has four gorilla tracking zones. 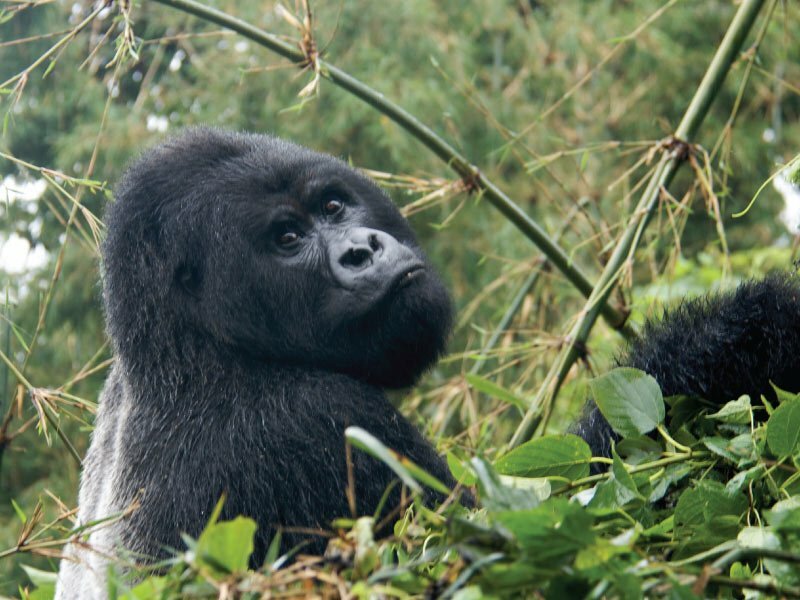 Day 12: Gorilla tracking & community walk. An early morning start, you will wake up have your breakfast and then report to the ranger station together with your packed lunch and drinking water and in tracking attire for a briefing about gorilla tracking where you will be split into small groups of 8 people per gorilla family and then ascend to the forest for your gorilla adventure that will take a few hour to a full day. Once you come across the gorillas, you will be allowed a maximum of 1 hour with these gentle giants as you take pictures then after return back to the lodge. Depending on the time and how strong you will be, you can later go for community walk to meet and be entertained by the local people as you learn about their culture then have dinner overnight stay at your lodge MAHOGANY SPRING LODGE / BUHOMA HAVEN LODGE / BAKIGA LODGE. After your morning breakfast, the guide will transfer you to Lake Mburo national park, lunch on the way then proceed to the park as you view animals along the way. This is Uganda’s smallest savannah park where you stand chance to see impalas besides there are plain Zebras, buffalos, hyenas, dwarf mangoes, giraffes, topi and leopards on lucky occasions. Proceed and check in to the lodge for relaxation. On this day you will wake up, take your morning breakfast thereafter go out for the game drive in search of game animals such as Impalas, giraffes, Plain zebra, Elands, Topi, buffalos among other animals then after you will drive to Kampala with a stopover at the equator for photography and craft shopping. Proceed to Kampala or Entebbe if it’s your scheduled departure time as you end your safari with us.